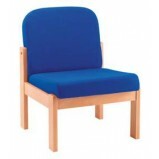 Office Furniture GB offer a large selection of low cost office chairs in a range of colours, materials and prices. 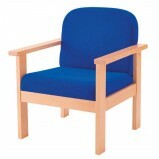 From conference chairs to executive chairs, we have every chair you could think of. 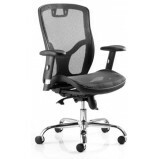 Browse our full range and find the perfect cheap office chair for you. 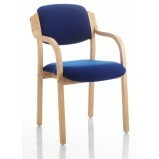 All chairs are all available with express delivery, ideal to kit out your office quickly. 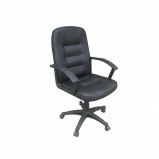 Our office chairs are not only lost cost but also great quality! We have been in business over 40 years supplying office furniture across the UK, and in that time we've built some fantastic partnerships with manufacturers that enable us to offer some of the best prices available. If you are buying in bulk then additional discounts may also be available. 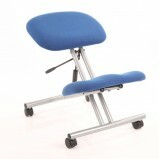 Most of our office chairs comes with a three year manufacturer guarantee. While some items require self-assembly we are also happy to offer a full installation service if required. If you need any advice please don't hesitate to contact us. Jade Reception ArmchairA range of fully upholstered reception and lounge chairs, all with black powder coated frames, available from stock in 3 stylish contemporary coloursFeaturesComfortable armchair with black powder coated frameDeep foam..
Juplo Reception Armchair With a classic design and timber construction, this range adds a warm and inviting touch to any reception or waiting area. 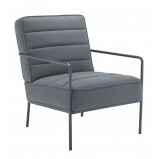 Features The Juplo Reception Armchair is a fully upholstered reception chair S..
Juplo Reception Side Chair With a classic design and timber construction, this range adds a warm and inviting touch to any reception or waiting area. 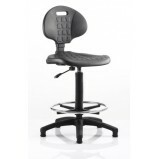 Features The Juplo Reception Chair is a fully upholstered reception chair Su..
Kneeling Office Chair Based on the famous scandavian designed ergonomic chair.This kneeling Stool features a comfortable knee and seat pad with easy adjustable gas lift and can be finished with either a black or blue upholstery and silve..
Executive Manager Chair Leather Look Features Generous seat and back measurement Class 4 gas lift Locking tilt mechanism Black leather look ..
Lite high back office computer chair A great value for money typist chair features a 2 lever permanent contact mechanism for comfort itallows the user to have the back free floating ensuring 'permanent contact' with your back Fea..
Black Mesh Chair With Arms Features Lite Mesh Task Chair Lock Tilt Mechanism Fixed Arms Black Mesh Back/Black Fabric Seat ..
Beech wooden frame Fully upholstered back Large seat Stack up to 4 high Options Blue or black fabric ..
Cushioned polyurethane seat and back Ideal for all industrial applications eg. 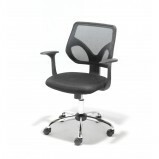 food and medical industries Gas lift tested up to 150kg ..
Maldini High Back Mesh Office ChairThe Maldini chair is now available in a desirable blue breathable mesh fabric option and features a white shell, providing a contemporary style. 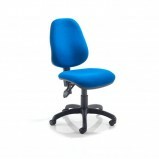 The integral lumbar provides additional lower back support a..
Marlos Coloured Mesh Back Office ChairThe colourful Marlos mesh back office chair with folding arms by TC Group is generously proportioned with a breathable mesh seat and back . 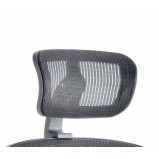 This chair is bound to cause admiring glances from anyone with..
Black headrest only to fit Mirage II chair .. 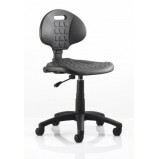 Comfortable, sprung black mesh back seat Fixed, padded arms Polished chrome base Options Matching executive version also available .. 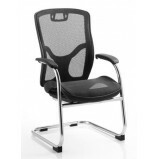 Comfortable, sprung black mesh back seat Adjustable arms as standard Polished chrome base Infinite lock mechanism Gas lift tested up to 150kg Options Matching visitor version also available Optional headrest (a..